Of course you spent your Autumn carefully trimming, weeding, sweeping and mulching all around the garden. But if you didn’t, guess what? Now’s your last chance to get it done and it’s a lot more pleasant to gather up branches and leaves now rather than after the thaw. Head out with your secateurs, a small pruning saw and a big bag. 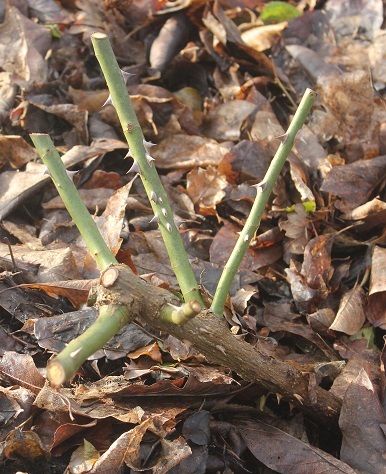 Pick a starting point and methodically work your way around the garden trimming any branches from trees or bushes that have overgrown paths and lawns. Then use your secateurs to shape anything that is starting to look odd, and keep in mind there’s not wrong or right to this as personal style dictates whether you love the loose natural look or a more tight trimmed approach. Pull the weeds, then spread the mulch on thickly. Coarse wood chips are great weed suppressants as they smother most things trying to make their way upwards and then make it really tricky for seeds that blow in to take hold. Then whip around with the broom and you’re done. This is easy, especially if you’ve done your housekeeping (see above). Simply mound up the mulch around the plants you know need some help through the coldest spells and you’re done. In some cases this will mean covering over plants that have been trimmed well back before-hand, like Canna Tropicanna. This will definitely work if where you live is mild. But if you live where Winter really kicks in, head out with a spade to dig them up and drop them into a cardboard box. Pack soil, peat or sawdust around them to keep them from drying out, and store the box in your garage till Spring when you can plant them out again. Sometimes weathering Winter is all about making the right plant choices. Roses are generally pretty tough and able to look after themselves, but there are some that do better than others in really cold areas, like Flower Carpet roses. The trick is to prune them about in winter. There's no need to get too fussy about it. Use hedge clippers, chop them back by two thirds. Come Spring they burst forth again with glossy new green foliage ready for the mass of new flowers that begin in late Spring. This sounds funny, but by the time Spring comes around, you may have forgotten what you’ve planted where, especially when it comes to perennials that have been trimmed back to ground level and covered with mulch. The easiest way is to pop in some labelled stakes when you’ve finished your early Winter garden housekeeping session. Just make sure your labels are weather proof so you can still read them come Spring, but even if you can't, you’ll know not to dig something up accidentally. Article from College of Horticulture home study course, for landscaping ideas. Bulbs create some of the most magnificent displays. If you want to experience the glory of spring then now is the time to plant!